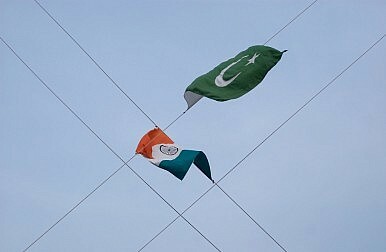 The road to reconciliation between India and Pakistan is likely to be a long one. But perhaps economic compulsions can overtake political ones. On May 11, Pakistanis will go to the polls and elect a new government. For the first time in its history, the country will see a peaceful, civilian handover of the reins of state. This is an exhilarating moment in South Asia, for democratic progress in Pakistan will positively impact the dynamics of the region. Pakistan is keenly aware of this – but also of the fragility of the moment. Nowhere is this better reflected than in the elegant port city of Karachi, which until just a few decades ago competed with Beirut for the title of ‘Paris of the East.’ It was cosmopolitan, fashionable, and creative, its people progressive, educated and secular. The population comprised of émigrés from India, many of whom carried their genetic business acumen with them, native Sindhis both Hindu and Muslim, Parsis, Christians and others from across the land, both Shia and Sunni. Like Mumbai, it was also a wealthy city, the financial center with access to the port. Karachi still retains some of that flavor, but the population arithmetic has changed, and so has its self-definition. Of an estimated population of 20 million – the minority Parsis – Hindus and Christians are a handful. The Muhajirs, or Indian émigrés, are also dwindling. Growing in number are the Pathans, now over 5 million, who have fled their homes in the Northwest to find work in Karachi. The native Sindhi population is just 7% – and even the Governor of Sindh, who resides in a palatial colonial home in Karachi and has a sensitive post, is a non-Sindhi. The Taliban have moved into the city, and have begun an anti-Shia campaign, terrorizing and assassinating members of the community in mosques, in the streets, and demoralizing them by targeting their intellectuals – doctors and teachers. Instead of the festive mood that typically accompanies pre-election season in India, Karachi is a city of silence. Very few of its intrepid millions are visible on the streets – afraid, say local residents. Election posters which should be hung like birthday buntings and plastered across the hoardings, have only a muted presence. A large number of Karachi’s elite have dual citizenship, and its businessmen have multinational operations from compulsion – having an office in Dubai or even in Tehran helps to hedge their bets. Under normal circumstances it would be the sign of confident, expanding business; here it is the opposite. Still, many of Karachi’s commercial leaders are now cautiously optimistic about the future. The violence is visible, but so is the pushback from gutsy institutions like the media, the Election Commission, and the courts, making it somewhat reminiscent of India in the early 1990s. Pakistani business sees trade with India as the key to early economic progress at home. At a conference on South Asian Strategic Leadership organized this week by Karachi’s Nutshell Forum, businessman after businessman expressed this exact sentiment. Refreshingly absent from the discussion was any mention of Kashmir, of the military in Rawalpindi and its preoccupations with the border or with U.S. perfidy. India and Pakistan “should have a trade map in the next three years,” said S. M. Muneer, the Vice Chairman of MCB Bank; he dreams of “transforming our region into a Union,” and understands the need to nurture and integrate small enterprises into the bilateral engagement. Most others talked of the common problems of energy and water scarcity, of rotting grain and lack of storage capacity, of the need to lower the cost and processes of doing business, and of political corruption and cronyism. They also talked of common strengths and potential – a youthful population, a rising middle class, geographic location, agriculture and agro-industry potential, a strengthening federation, and the need to create new models of business and of development. Though such sentiments are repeated frequently, the gap in economic growth and vitality between India and Pakistan widens visibly. The obvious immediate winners are the cement and sugar industries, both of which Pakistan has a surplus of and India a shortage of, and which can be transported at low-cost across the border. India has a growing agriculture and automobile industry, which Pakistan needs. Pakistan wants to learn India’s ICT skills, and India can leverage Pakistan’s textile manufacturing expertise and global market reach. India-Pakistan trade, currently at $2.5 billion, can reach $20 billion over the next five years, said Asrar Raouf, a senior member of Pakistan’s Federal Board of Revenue. The road to bilateral reconciliation will be a long and treacherous one; political and military hurdles will delay the process. But perhaps economic compulsions will overtake political ones. Certainly that is the hope in Karachi, whose business community has started to make its journey across the border. Manjeet Kripalani is the Co-founder and Executive Director of Gateway House: Indian Council on Global Relations. The following piece was originally written for Gateway House: Indian Council on Global Relation, found here.